Optical test equipment or optical measuring instruments are used to measure and characterize the physical properties of light. The insatiable demand for higher capacity in communication networks has fueled the need for highly precise optical test solutions. 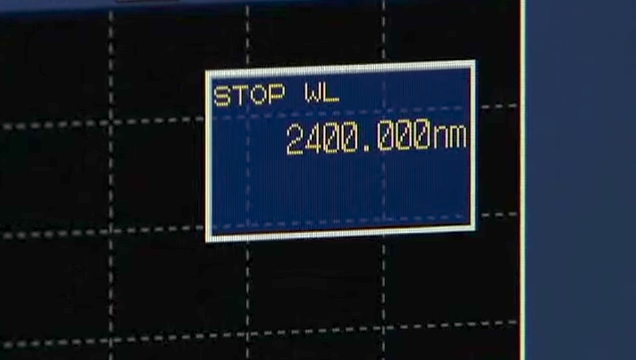 In addition, precision optical measurements are essential to optical research applications for biophotonics, environmental sensing, and consumer products. R&D engineers, academic researchers, manufacturing engineers, and field service personnel depend on precision optical test equipment to ensure design and performance specifications, production quality, and network health. 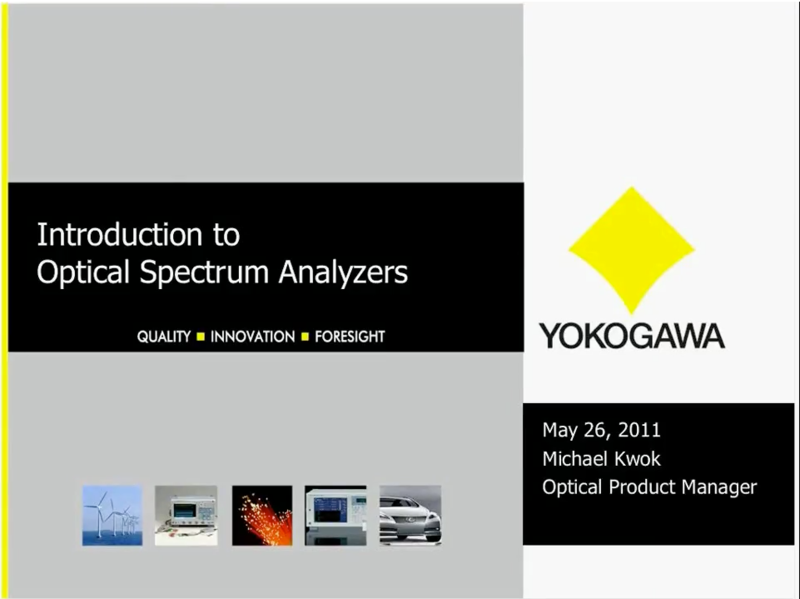 For more than thirty years, Yokogawa (formerly Ando) has delivered quality, consistency, ease of use, and market leadership for optical test applications. 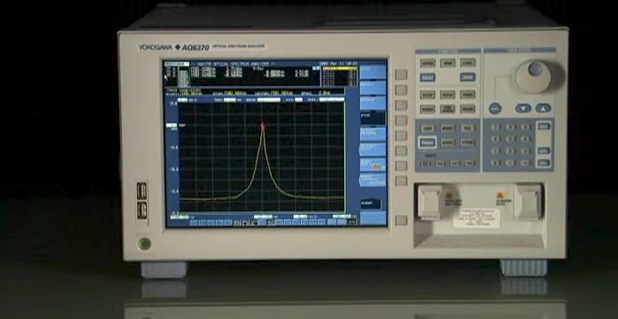 An Optical Wavelength Meter measures the peak wavelength(s) of an optical signal with extreme picometer and sub picometer accuracy. 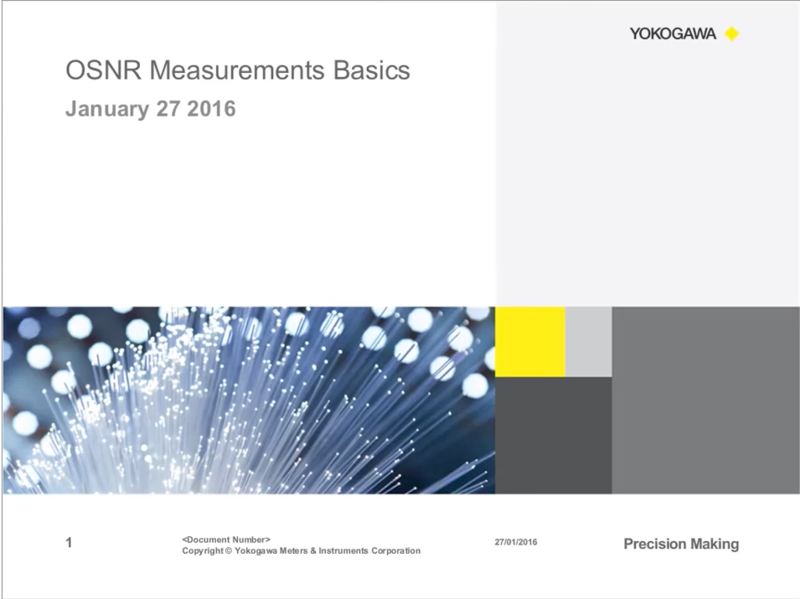 Yokogawa offers high speed optical telecommunication systems and equipment with high performance, functionality, and reliability. Yes, the AQ7932 Viewer Software is compatible with Windows 7 32-bit and 64-bit. Note: Please make sure the correct USB driver is installed for either Windows 7 32-bit or 64-bit. Yes, the AQ7270 Viewer Software is compatible with Windows 7 32-bit and 64-bit. Note: Please make sure the correct USB driver is installed for either Windows 7 32-bit or 64-bit. Please download the attached Word document for a list of compatible USB drivers for the AQ7270 and AQ7275 series OTDR. The maximum visible light source distance that can be seen by the AQ7275, through a standard SM fiber, is approximately 5 km or 3.1 miles. 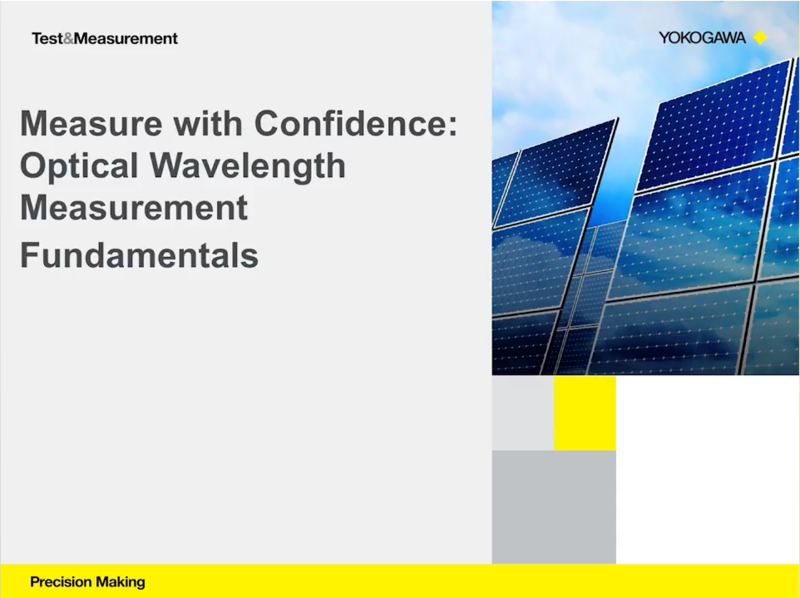 The WDM Analysis calculates a central wavelength by a threshold method. A peak wavelength is acquired by a central wavelength between wavelengths, where the level is at -3 dB points on both side of the peak. Please download and refer to the attached document for complete instructions on how to upgrade the firmware for the AQ2201/AQ2202 Frame Controller. Yes, the AQ2200-141/-142 FP-LD modules have a built-in isolator. The isolation is 35dB. The AQ7270 OTDR maximizes the total working time during on-site tests as the time to power up the device, make measurements, and analyze and store the measurement results are significantly reduced. 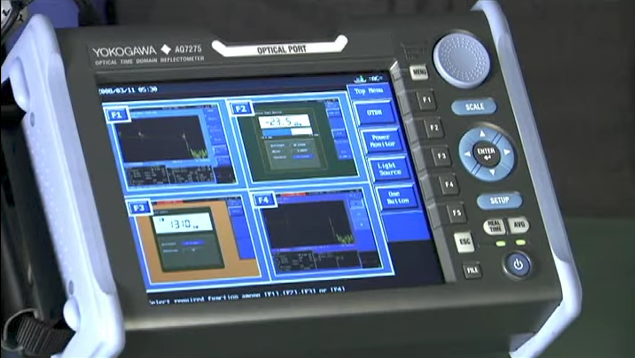 The measurement results can easily be transmitted to computers using the USB interface or the Ethernet. The analysis software (optional), helps with preparation of computer-generated reports.